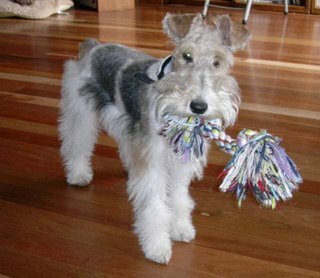 Search and adopt a Wire Fox Terrier near you. The Wire Fox Terrier should be alert, quick of movement, keen of expression, on the tip-toe of expectation at the slightest provocation. He should stand like a cleverly made, short-backed hunter, covering a lot of ground.